Wheatgrass is a natural healer. It contains all minerals known to man, and vitamins A, B-complex, C, E, l and K. It is extremely rich in protein, and contains 17 amino acids, the building blocks of protein. Now that’s a powerful nutritional punch! Wheatgrass is great for your teeth and can help to prevent tooth decay. 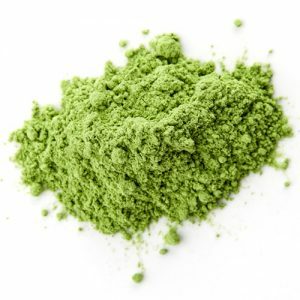 Wheatgrass is known to neutralise toxins in the body meaning it is a great way to detox a purify your body. Wheatgrass contains chorophyll which arrests growth and development of unfriendly bacteria. Chlorophyll is antibacterial and can be used inside and outside the body as a natural healer. Wheatgrass is high in oxygen. This is beneficial because the brain and all body tissues function at an optimal level in a highly- oxygenated environment. Gargling with wheatgrass is soothing for a sore throat. Wheatgrass is great for the skin and has been known to help people with acne and even help to reduce scars after it has been ingested for seven to eight months. ( the diet, of course, must be improved at the same time). Using Wheatgrass on your hair for 15 minutes has been known to help eliminate dandruff. Wheatgrass is great for constipation and keeping the bowels open because it is high in magnesium. Wheatgrass can aid in reducing high blood pressure. Wheatgrass is gluten-free because it’s cut before the grain forms. Wheatgrass can help to remove heavy metals from the body. Want to learn more about wheatgrass? Click right here.